I have friend looking for a Family Guy, hopefully within driving distance of NW Ohio. Anybody got any out there for sale. I checked the Pinside Market...some budget busters on there. Would like to be under $5K if at all possible. Thanks. What's up hogey - been a while. Good luck - I've been looking for a while as well. I've actually been considering letting my FG go from my collection recently. I'm thinking its time to go ACDC. You were on the road already - remember? I'll give Hogey the first shot since this is his post - but if he doesn't take it, I might have to. If any of you guys with a FG can hold off on selling until September, you have a buyer, right here. Wow, lots of interest in Family Guy. 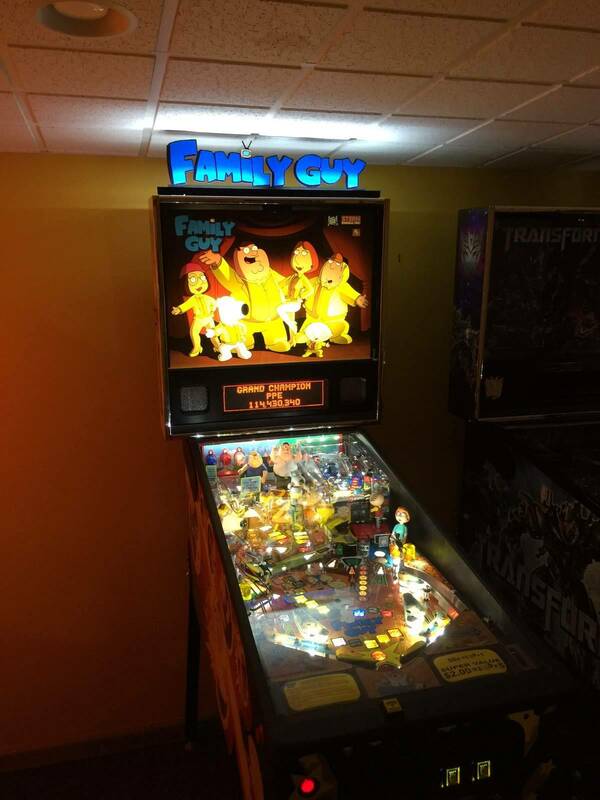 I reached out to Hogey and let him know, but I have a Family Guy I would consider selling as well. Wasn't necessarily in any hurry to sell it (don't have it listed anywhere yet), but if there is interest I would sell. It is an undocumented HUO. The GI has leds but the inserts are regular bulbs. 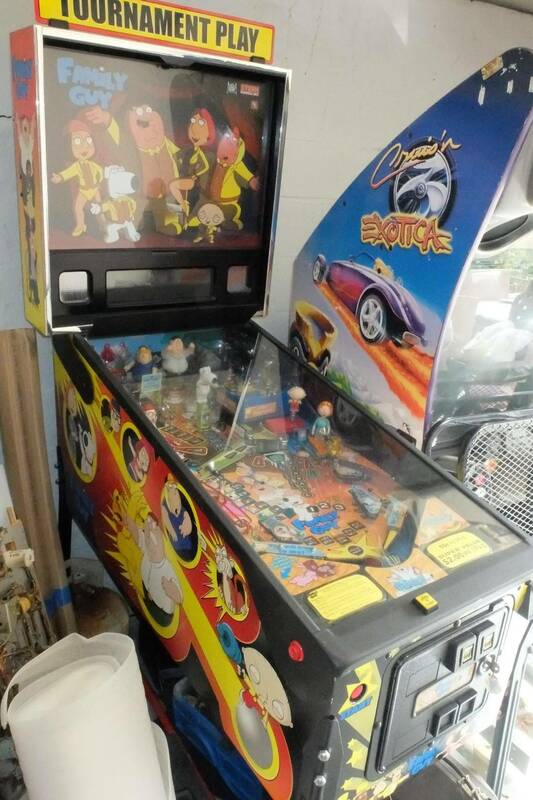 There are really only two minor cosmetic issues - a small crack in the one plastic (near the captive balls), and a couple small lines near the start button - I don't think they are scratches but possibly there from when the cabinet was printed?? I am in Lancaster, PA and would ask $4500 for it. Heck don't be cheap just buy a NIB from FrontGate and use the promo code. Heck grab a NIB TSPP also. Holy.. I don't think an 'upscale finest home' would have a swearing cartoon of a game.. but.. hey.. who'm I to judge? Unfortunately my Family guy trade fell through so I'm also still in the market to buy/Trade one. Like I need another pin right now. I'll have one for sale soon for under $4k but it's not HUO. I can't speak for others, but I'm a player, not a collector - I couldn't care less if it wasn't HUO.